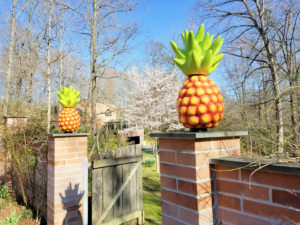 Over a year in the works, I am excited to announce the unveiling of brand new duo sculpture installation, entitled, ‘Pineapple’. 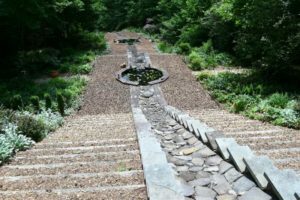 Located within a unique wooded hillside property, Shahla and Jim Butler’s garden, named ‘Ferdows’ (meaning Paradise ), features naturalistic plantings, lively water features, a walled vegetable garden and this dramatic multi-level vista. 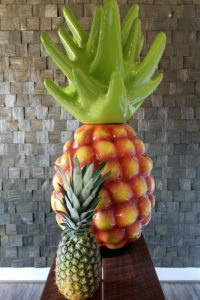 Photos of sculpture to follow the event. Stay tuned for updates to this page, and follow on social media. 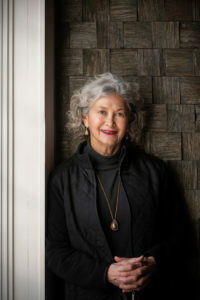 Photograph of Jan Kirsh by Stephen Cherry. Wishing you a spicy holiday season! And good health and delight in the New Year. 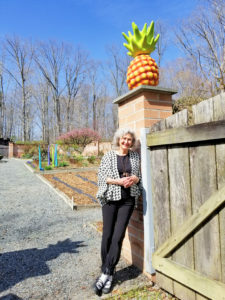 Extremely thankful that ‘Aubergine’ has found a happy and hopeful home back in Ellicott City. 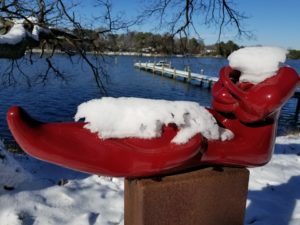 It now resides in front of the Howard County Welcome Center. 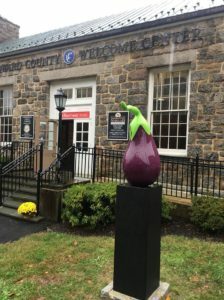 During its first stay (2015-2016), it became known as “The Ellicott City Eggplant”. What an honor to continue sharing this piece with such a resilient community. 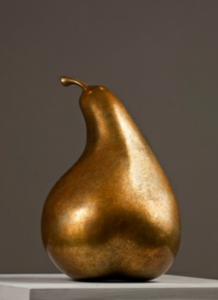 If you’ll allow me a pat on the back, my bronze Pear was featured in Washington, D.C.’s Modern Luxury magazine’s Spring/Summer 2018 wedding issue. 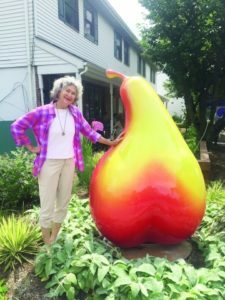 In addition, installation of a 6′ Pear and other colorful, whimsical pieces will be installed at Evelyn’s Annapolis restaurant at 26 Annapolis Street – soon. 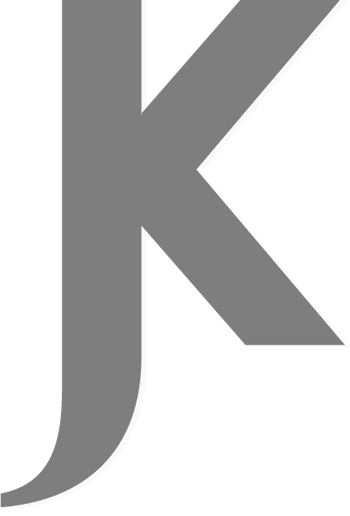 Please stand by for an update!